More about iittala Toikka White Sandpiper Introduced in 1993, the White Sandpiper celebrates the 200th anniversary of Nuutajärvi, the oldest glass factory in Finland. 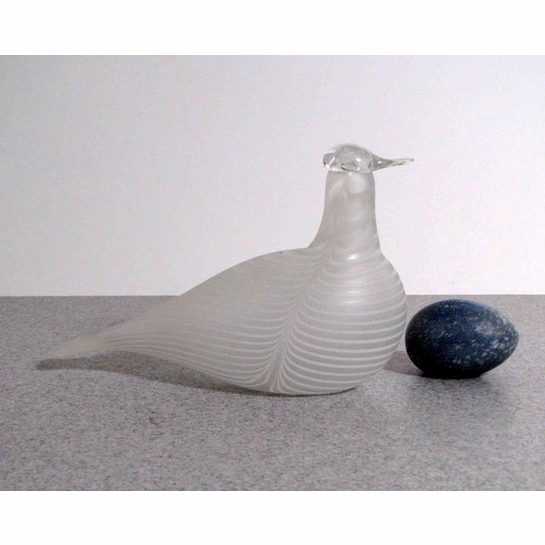 Still functioning today, Nuutajärvi makes the iittala Toikka birds as well as countless other Finnish glass products. The White Sandpiper allows you to honor Finnish traditions in a beautiful way.